This update to Pro Media tools adds strip transitions, support for exporting DaVinci Resolve marker EDLs and more. The update for Pro Maintenance Tools adds stability and bug fixes. Plus Cineplay has also been updated and now requires macOS 10.10 or higher. Pro Maintenance Tools (formerly FCS Maintenance Pack) is a utility pack designed to keep your Final Cut Studio, Final Cut Pro X, Avid Media Composer, Avid Symphony or Adobe Premiere Pro Mac running at optimal performance and help resolve problems when they arise. Show-stopping problems always seem to occur on a deadline – Pro Maintenance Tools is designed to rapidly diagnose and fix common issues, ensuring users get back on track as quickly as possible. With the Task Scheduler utility, maintenance tasks can even be scheduled to run in the background for convenience. System administrators can use Pro Maintenance Tools remotely to maintain, optimize and troubleshoot their systems in conjunction with Pro Admin. What's new in version 2.2.4? 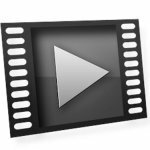 What's new in Cineplay 1.5?